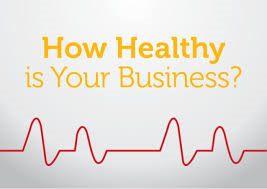 Do you know the health of your franchise or business? In working with Franchisors and Franchisees, we have observed an alarming trend that prompts the question…..Do you know the health of your business? We have noticed that when a business decides to franchise, they are leaving out a critical part when building the operational support area of their franchise structure. The franchisor attempts to cover several areas that include: legal, real estate support, lending assistance, payroll & HR but they are forgetting the main ingredient to running any business. If you do not have accounting and bookkeeping in your operational support, then you are putting the business at risk and hindering your ability to have visibility to the health of your business. Simply stated Accounting & Bookkeeping = Health of your business or franchise. There are many franchisors that leave it up to the franchisee to “figure it out”. I have heard this response on numerous occasions and I always ask why they leave this critical component out. Most respond with “we don’t have a vendor or preferred partner that offers these services”. Franchise owners seem to think that building a relationship with an accounting & bookkeeping partner may be lengthy, cumbersome and risky. Let’s address these 3 myths: lengthy, cumbersome and risky. Lengthy – Franchisor’s feel that the process to find the “right” accounting & bookkeeping firm could be a lengthy process that may in some way hold up their ability to bring their franchise to market quickly. This is myth #1. Yes, it takes time to find and interview potential vendors/partners but not any longer than it takes to build any other vendor/partner relationship. You can always ask business colleagues or friends with businesses for referrals and start there. Cumbersome – Franchisor’s think that the process will be cumbersome because they don’t have the knowledge base to know if the products offered by the vendor/partner will meet their franchisees needs. This is myth #2. If the franchisor takes a step back, they absolutely know the answer to this question. After all, they usually own the exact same business and therefore have an intimate understanding of what is needed to help the franchisee. Another way to address it is to include your franchisee in the process. One of our franchise owners had a mandatory conference call between corporate and the franchisees. He polled the franchisees and asked them if an accounting and bookkeeping service would be useful and how much they would be willing to pay per month for these services. The overwhelming response was YES, they needed the service! The pricing feedback they gave the franchisor gave the corporate office an opportunity to have custom packages built around the pricing structure that the franchisees could afford. This was a very successful strategy for the franchisor. Risky– Some franchise owners shared concern that picking an accounting & bookkeeping firm could be risky for the corporate office. What if something happened and the vendor/partner made an error? Could corporate be held responsible since they recommended or mandated the vendor/partner? This is myth #3. First, in order to avoid potential issues, we suggest that you do NOT mandate a vendor/partner unless there is some type of legal agreement in place protecting the corporate office from such backlash. We also suggest that you choose a reputable accounting & bookkeeping firm that maintains E&O insurance (professional liability insurance) to protect the clients from any type of errors that could occur. It is far more risky to allow your franchisees to ignore their accounting & bookkeeping needs because they are swamped with trying to keep the day to day business running. We encourage you to help them as much as possible to avoid potential pitfalls that could occur from neglecting the financial health of their business. Did you give them all of the tools they needed to be successful? Did you try to cover all of the areas where they will need support? Is your franchise truly turn key? meaning you have ALL of the bases covered. Do you offer benchmarking so that the franchisee can see their performance and growth? Does your franchisee have visibility to their profit & loss and income statements on a regular basis? Will your franchisees refer other potential owners to you because of the exceptional operational support they receive? There are many items that are left unanswered without the appropriate accounting & bookkeeping support. Here are some additional tips to consider. The right firm should be offering general bookkeeping functions. The right firm should be monitoring the health of the business for the franchisee by reviewing the profit & Loss and income statements on a regular basis (preferably monthly). They should then be notifying the franchisee of things that look out of place like higher expenses in specific areas, decreased revenue or other areas of concern. The right firm should offer benchmarking between locations. The right firm should have professional liability insurance. The right firm should be pro-active instead of reactive. Offering solutions to potential issues before they occur. To sum it all up, the right firm should be an active partner for your franchisee’s business. Overall, the success of your franchisee’s will be a direct reflection of the franchisor. So I ask one last time…. 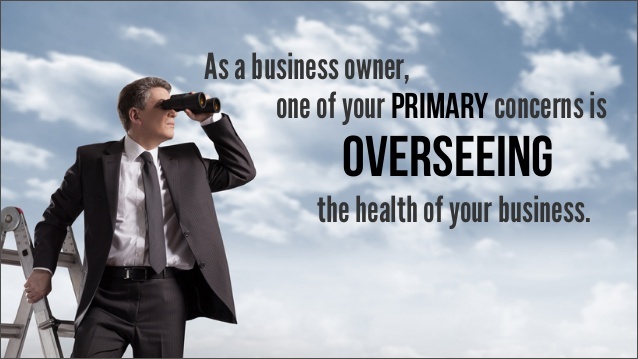 Do you know the health of your franchise or business? If the answer is no, then it’s time to make a change. Let’s move in a positive direction and get you on the right track! 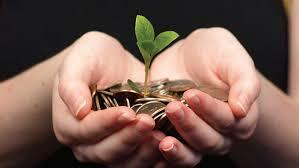 Elite Financial Firm is here to help! We can discuss your needs and setup custom packages that will be beneficial to the franchisee and the franchisor. © 2017 Elite Financial Firm. All Rights Reserved.